Circa 1900, Chinese style mahogany cabinet. The top has a wrap around gallery with cockpen style open fretwork to the front and sides. 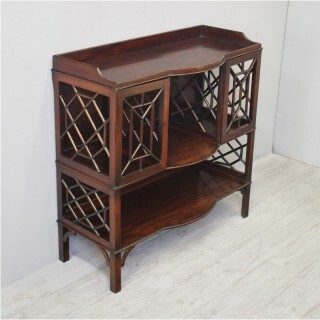 Beneath is a shaped shelf with cockpen fretwork and it is standing on 4 square legs with open fretwork quarter brackets beneath.